Thank you for your interest in R-valley View Lamanchas. We are located in Northeast Ohio, rolling hills and in the valley just outside of Mochianville. 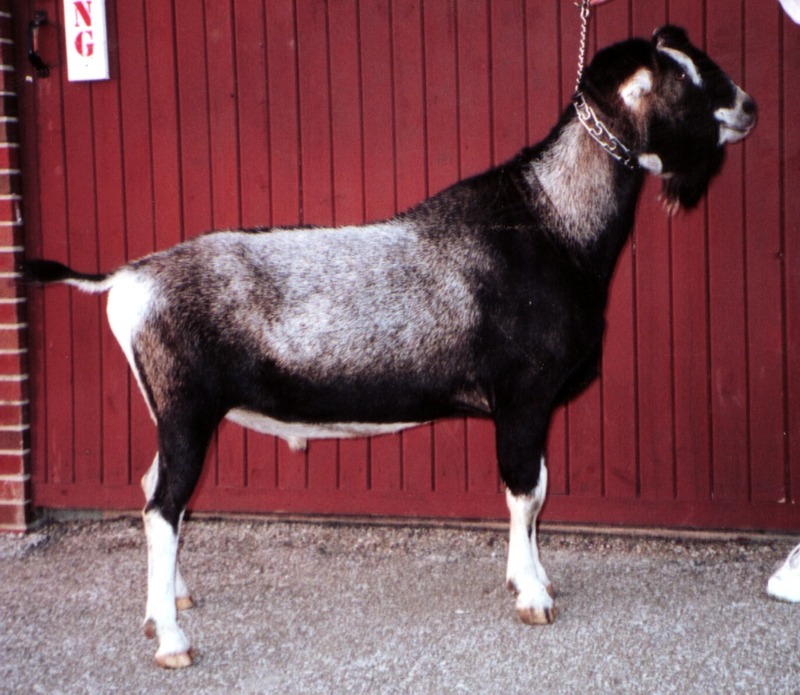 I've had goats of some breed all my life. Mother started me with this "disease"; she had Nubians and crosses. Mother got my first Lamancha as a 4-H project, but I fell in love with him and could not sell him for meat. So that started my love of Lamanchas and I have had at least one ever since. Now I own or co-own around 15 mature does and 2 mature bucks. Fred Luhring helps me with the milking and the what nots of the herd. Fred's Saanen herd is here as well. We try to go to 6 or 7 shows or more depending on our work schedules. We have a strict CAE preventative program here, along with BO-SE and Vitamin programs. DHIR for the last 5 years and LA when we can, we do plan to do this this year also. Special Thanks to everyone who's farm we have visited, some really great breeders out there, so THANK YOU VERY MUCH FOR TIME AND ENERGY and the stock we have bought from you. Any questions feel free to call, write, or e-mail us. First $50.00 deposit on any kid will be held up to 4 weeks after kid is born, after that, if no arrangements have been made, the kid goes to the next in line. All expenses are the buyers responsibility to get their kid home.